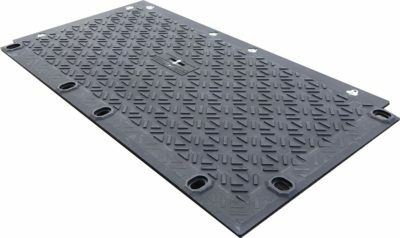 Help protect your workers from harmful construction dust with Ground-Guards’ range of mats such as MultiTrack and MaxiTrack. 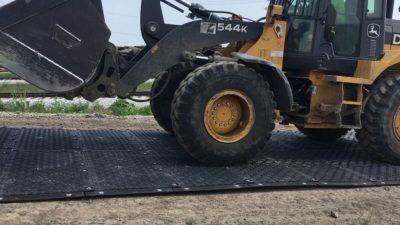 The use of ground protection mats on site to create a temporary trackway for vehicles helps stop ground construction dust from getting stirred up by heavy site traffic. This is important because dust can make a work site extremely hazardous for workers. 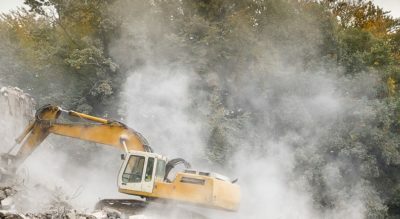 Regularly breathing construction dust can cause diseases like lung cancer, asthma, Chronic Obstructive Pulmonary Disease (COPD), silicosis and more – diseases that can cause permanent disability and early death. Dust also reduces visibility on site thereby increasing the likelihood of accidents.